© Jenyfra Nelson. All rights reserved. 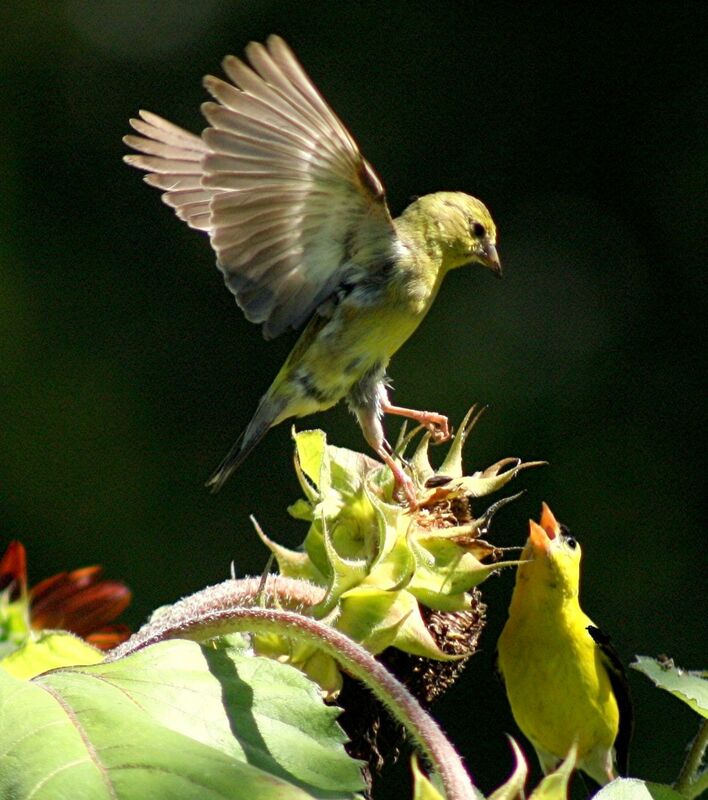 Parent Goldfinch feeding late summer fledgling near Budd Lake drops the sunflower seed on the leaf above it. Date Uploaded: Nov. 25, 2013, 3:28 p.m.